More than anything else, singing is a fundamentally human activity. Hearing develops early on in the womb and new born babies will recognise songs that they heard before birth. Singing to your new born baby is a wonderful way to get to know each other and to begin the art of communication! Singing is also very good for you! There’s plenty of evidence to suggest that singing boosts your immune system, releases those feel-good endorphins and decreases the levels of cortisol (the stress hormone) in your blood stream. Even better, come and sing with a group and you’ll meet new friends too! 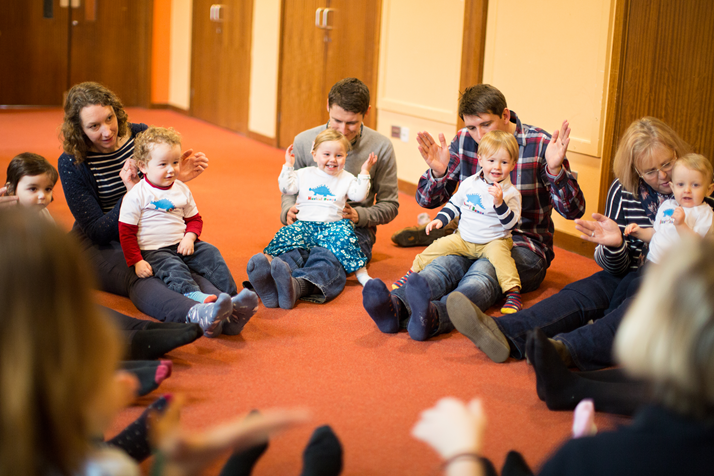 At Musical Bumps, we provide a learning-rich environment full of singing, percussion and fun. we are clear that singing and music is central to what babies and young children need. Our wonderful team of teachers is very good at providing it! Sadly, there is such a thing as “too much” – overstimulating your baby is not a good thing! Gizmos and gadgets are all very well, but you can’t beat real singing and real communication! Here’s a short video (with apologies to Dr Seuss) – there’s nothing better than a good sing!